Playful and tongue-in-cheek. That is how Filipino fashion designer Tipay Caintic describes her aesthetic. 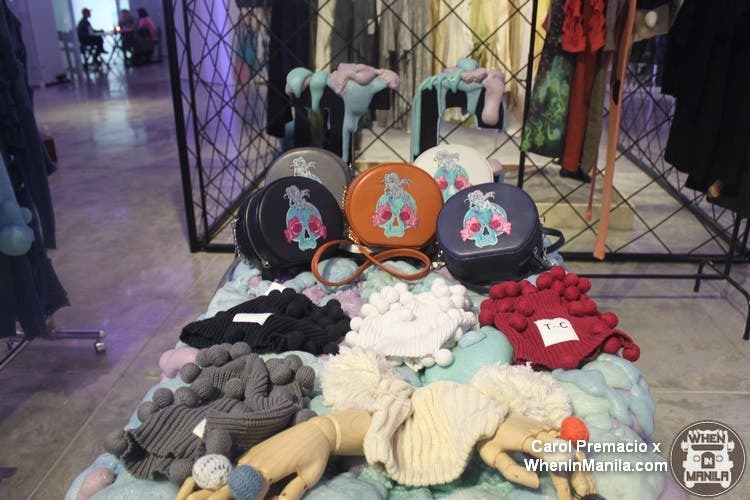 If you peruse the designs at her artistically designed pop-ups in SOMA Stores located at the Green sun building Pasong Tamo extension, you will notice how she has mastered the art of making interesting and fun clothing. She knows how to make a statement through her pieces without them being too overwhelming. What is so nice about her is that she can take an emotion and translate it well into clothing. Her clothes are certainly nothing close to average as they can easily be considered works of art on their own and the fashion industry certainly hasn’t failed to take notice. After receiving the prestigious Emerging Fashion Talent Award from Preview Magazine, she was invited by the Department of Trade and Industry – Center for International Trade Expositions & Missions (DTI-CITEM) to showcase her work at the Manila FAME, Southeast Asia’s largest lifestyle event. If you think that’s big, well then think again. 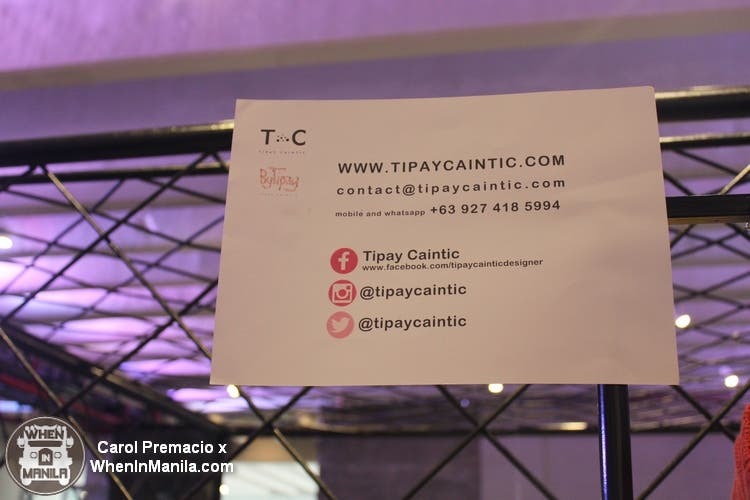 Tipay didn’t stop impressing the local and Asian fashion industries as she subsequently traveled abroad for London Fashion Week where she participated in her first international show. A native of Tacloban, her artisanal collection Hell Knows No Wrath like Yolanda was also featured by the international news network CNN. For the next few months, you can get their hands on her famed knits from her present and past collections. Her current collection called Sweet Treachery features embroidered linen cropped tops, spiked skirts and 100% authentic leather bags also with embroidery. Her prints are also a feast for the eyes. Tipay uses natural materials such as Pineapple fiber and cotton for her clothes as she doesn’t want them to be hot. Thus, making them perfect for the Philippine’s tropical weather. Tipay is certainly making the Philippines proud with each collection that she comes up with and as pop-up stores are only present for a limited amount of time, you’d better start heading to SOMA Stores to grab some of her must have pieces! If you can’t, though, you can always place an order on her website. At these times, one of the best things you can do is support the local fashion industry. And what better place to start than with the best, right?